Viscount was a beautiful, versatile stud, with many championships in halter, park harness, park saddle and western pleasure. At 17 years old, his first year as a western pleasure horse, he took 2nd in Western Pleasure Stallion Amateur and 3rd in Western Trail at the Nationals. 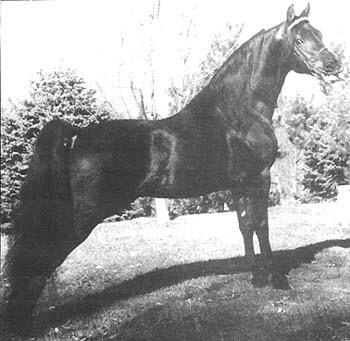 He is best known as a sire of Morgan sport horses for Dragonfire Farm, featured in the February 1999 Morgan Horse Journal. His daughter Dragonfire Phoenix, the 1982 and 83 Nor-Cal Champion Halter Mare, also took the blues for dressage and Hunter Pleasure at many class A shows. Another daughter, Dragonfire Ladyhawke, has been making waves in Dressage. She was the 1997 AHSA Horse of the Year, Training Level Dressage and 1998 Reserve World Champion in Amateur Training Level Dressage. 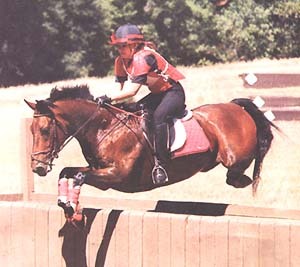 Son Dragonfire Kublakhan (pictured below) is a notable sport horse who not only cleans up in Morgan shows, but also competes in open 3-day eventing.